Dr. Sonya Carl completed her pre-med studies at the University of Toronto, with an Honours Bachelor degree in Biology/Chemistry. She then completed the four year post-grad program at the Canadian College of Naturopathic Medicine, graduating in 2002. Her internship was completed at the Robert Schad Naturopathic Clinic and Anishnawbe Health in Toronto. Her interest in alternative health began at age 16 when she visited a holistic doctor for her own health issues and was inspired by the dramatic improvement she experienced. After working for the esteemed Dr. Srajeldin during university, she found her calling. In her general practice, Dr. Carl sees patients of all ages, and focuses on identifying all the factors that have contributed to her patients' health concerns. A complete health history including nutritional status, hormonal, digestive, and immune function, and mental health as well as current and past medical treatments are all assessed in order to create an individualized treatment plan. 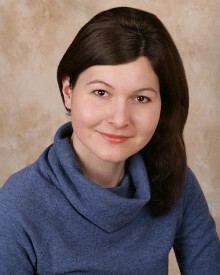 Dr Carl is known for her caring, thorough and common-sense approach. She sees patients primarily with gastrointestinal, skin, hormonal, and chronic conditions such as mental-emotional imbalances, fibromyalgia, chronic fatigue syndrome and insomnia. Treatment plans may include diet and nutrition, botanical medicine, homeopathy, drainage remedies, gemmotherapy, acupuncture, and lifestyle/self-care recommendations. Laboratory tests such as salivary hormones, food allergies, stool analysis for bacteria, parasitology, and digestive sufficiency, urinary toxic metals, mineral, and hair analyses are also provided. Dr. Carl's goal is to assist patients seeking to achieve good health and quality of life by finding the best treatment plan and providing the knowledge and tools. If you believe that health is not achieved through drugs or surgery, and are tired of a system that only covers up symptoms and treats each of your symptoms in isolation, then naturopathic medicine is for you.